When we asked you to nominate your favorite writing blog as one of the top 10 blogs for writers, we got a huge response! Great to see how passionate readers are about their favorite writing blog. As you’ll see there are some previous winners, as well as some talented new bloggers in the top 10 of 2012. The badge of distinction: If you are a winner, display the badge you see above on your blog and link the badge back to this page. And please help spread the word. Click the social media buttons to share this post with friends and fans. Nice Information ! may be very useful for me. Thank You boy. Congratulations Jeff, one of my favorite blogger…. a mentor too. This IS a great list! I’m brand new to blogging–tender and green–and have been just sort of fumbling my way around, trying to learn how to do it effectively. Been doing quite a bit of reading on the subject though (in addition to the bumbling). I can see why each of these blogs made top-ten. Fantastic stuff! I’ll be following some of them closely. Regards. Thanks for sharing such a wonderful one, and congrats to all the winner, self already follow some of the writers, looking to increase more……..
Hi.. please check this page, and leave your valuable comments. This is a great list–all very worthy blogs, most of which I had never heard of before! As an aspiring freelance writer, this is very helpful! Dear users if you are facing any kind of Sign-in issue,password not working,account compromised or due to any other issue you are not able to work on your Facebook account so please feel free to call us on our Instant help number.+1-323-744-6446 ,we are available round the clock , as per EST Our Toll Free number-1-855-601-0203. I think http://www.writingforward.com/ is a wonderful blog and it should be on this list. well, this is my first time to see the winner. congratulation, i think all the winner are the best. Good website. Thanks for posting that. 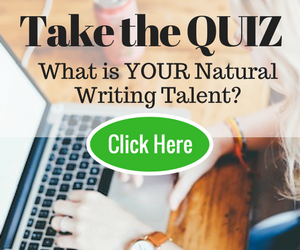 I’ll check to this site to find out more and recommend my people about your writing. It was a good contest. Found many new blogs to read! Hopefully next year a new one! This is a great list, just found it today and went through all the blogs, all of them had a lot of good advice. Great list and congrats all around to all the winners! This is an also an excellent introduction to some quality writers that I may not have discovered on my own. What a terrific list! As a freelance writer for the past 20 years (and now primarily a book author) I find you can never learn too much about the business. It’s an ongoing process of making connections, honing and expanding our skills, sharing knowledge and mentoring those we can. Thanks for giving writers access to the resources they ned to succeed. A big congrats to all the winners, and to WTD for putting this on! 🙂 Way to go, guys! Congratulations to C. S. Lakin (Live, Write, Thrive)! Thanks so much, Connie. I really am loving teaching and encouraging via my blog, but I couldn’t do it without the continual support of readers. Thanks, everyone, for your congratulations! I’m so excited to be on the list of winners. I’m so glad to see Carol Tice and Linda Formichelli on this list — I’ve been following them both for awhile, and they’ve helped me prepare to leave my job and go freelance full time with confidence. I look forward to checking out the other winners! Congratulations to all the winners. I have been following Jeff, Linda and The Creative Penn – found them creative and informative. I will add the others to my reading list. I had not heard of two of these blogs. I have just checked out ‘positive writer’, i’m going to spend some time on there this week. I think ‘The creative penn’ is a great blog with great interviews that are easy to access, listen to and download. I have found a wealth of information on there, thanks Joanna Penn. I prefer the blogs with podcasts and video interviews that i can listen to while i am doing my housework, especially since i sit on the computer most of the day doing my work. Great to see so many of the people I consider top of their game here. I know how the likes of Carol, Linda, Joanna, Joe, Susanne and Jeff inspire, encourage and inform me and I’m glad they’re getting recognised for the great service they provide for new and existing writers across the board. Writing is a solitary path but these guys make you feel less alone in the room! I’ll be sure to check out the new leads here. Congratulations all! Thanks so much! It is so great to have an online community or support all around the world. Writing used to be very lonely, back decades ago when I started, hiding in a corner and typing on a typewriter. But the world has opened up and we can find connection even if we are huddled in our little offices! I just across this site and would be following it to learn more. These are great choices! There are a few names I didn’t recognize…adding those to my reader right now! Congratulations to all these great bloggers, but the site missing from this list is yours. All of the sites are great and I try to read as many as I can, but it’s Write to Done I never miss. Congratulations to the following winners. Above winners deserves the win and they are all worth it. I will check this blogs later on. Thanks! Great list! I wasn’t familiar with all of these blogs, but I’m definitely going to add them to my RSS reader now. Excellent list of writing blogs, many of which I already follow. Will try to check them all out. Congratulations to all the winners. Congratulations to the winners! There are a couple of sites here I haven’t heard of, so will be check those out. I want to congratulate all those who won the competition this year! You are all well-deserving of this title. You’ll always be a Top Ten Blogger for Writers. That’s the best part. I’m so happy to see the new faces! Now make us past Top Ten Blogger winners proud: now that you’re on this list, please treat all in the writing community with respect, nobility, and compassion–no matter their background. This is the responsibility that comes with this title, don’t take it lightly. Thank you Mary for hosting it again this year! Thanks for this wonderful list, Mary! I will check into every one of these in the coming days. Each looks like it has unique merits, and all are appealing to me as a writer and as the host of a writing-oriented website. Looking forward to ten great guest posts! I am more than honored to be on this list with the top writing blogs! It was my goal when I began my blog last January to pour my heart and soul into helping teach writers the craft of writing as well as keep tabs on the changing publishing market in order to help and inspire writers in navigating their career. I am psyched to dive into 2013 with some great ideas and challenges and a new year-long course for writers: Shoot Your Novel. My dream was to make this top ten list, and it is a dream come true! Thank you all so much. I love it that the blog I nominated (The Write Practice) is a winner! It’s not a big surprise though. I’ll be writing a short commentary on this list for Friday. Every year I come to this list and see who is on it. Over the years, this list has introduced me to many writers that I now love to follow. Thank you for the list, for the great writing sites and for the inspiration. Congrats to all the writers on this list! I regularly follow Jeff Goins, Carol Tice and Linda Formichelli and they all have great blogs. I can’t wait to check out all the other writers on the list! I also nominated your blog to win this awesome contest but it seems you still need to work harder – I hope you are among the top 10 next year. Your blog is awesome and helpful for me in helping me shape my writing skills as well as Jeff Goin’s blog. Thank you for including The Writer’s [Inner] Journey with these terrific writing blogs. To touch on what Carol said, we could guest blog with each other and I certainly want to interview members of this great group. Congrats everyone and I look forward to connecting with you. Great list! Congrats to all – I follow Jeff Goins and The Creative Penn already, and will check out the others soon! This is truly an honor. Thank you so much for including Positive Writer. Congratulations to all the winners! I’m familiar with some, but not all, so I look forward to checking them out. Thanks, Mary, for doing this. I know it was a lot of work. Carol Tice, I have been following for some time & now I know about several more great blogs to check out! Thanks Patricia! Glad you find my blog useful. I am stunned and excited to be included in this list for a second time! Deep thanks to everyone who nominated me and who gives my blog your precious time. Congrats to Linda and Jeff…and to all the newcomers on here. Advice: Connect with your other Top 10 winners and see what you can create together! Linda and I met through winning this 2 years back and now we teach classes together for freelance writers. This contest has meant so much to me and to my community. Thank you for choosing The Write Practice and thank you for honoring the hard work being done in the world of writing blogs. Thank you for including me in your Top 10…I’m honored! come alive on the net. Pens and keyboards at the ready, good writing to all in 2013. Thanks for including me, guys. I’m honored. Congratulations, Jeff. This is well deserved. Keep up the good job! Congratulations to all the winners! I follow half of these blogs already, and I have added the others to my blog reader. I enjoy following The Creative Penn especially. Looking forward to a good new year of blog posts! Congratulations to all the winners! And thank you, Write to Done, for holding this contest. It gave me a chance to learn about more writing blogs. I love Jeff Goins website because of awesome writing tips and encouragement I used to get from Jeff’s articles. With this final lists, I will also check the other blogs to learn more ideas about writing what matters!